Thanks for the photos. Is that rod metal? Any idea what it's for? I have a home-made housing, but I don't recall seeing that rod on a genuine housing that I had in recently. The company I've been using for PCBs is JLCBCP. I can't speak highly enough of them - always prompt service and good quality. Minimum quantity is 5 I think, but 10 will cost you the same! Prices go up if your board is bigger than 100mm x 100mm (like my dash PCB), or has a special finish (like the gold plating on my 'fingers' board), but usually one of the biggest cost items is the shipping, unless you're prepared to wait for the slow boat from China. But if you pay for the DHL shipping you will usually have your boards in your hands a week after ordering them. I usually combine shipping with a parts order from their sister company LCSC. "I'm a man of means, by no means....King of the Road!" Thanks of the info on the PCB supplier. The rod is plastic, it doesn't seem to have any function other than providing clip support for the top part of the case. If you click in and open the image up you can make out the (broken) quarter-circle plastic clips which grip either side of the protruding rod. It doesn't penetrate through a hole in the housing at the lower end but merely seems to begin there, so cutting it out hasn't made any difference to its function as far as I can make out. CJH wrote: Dash kits and low fuel kits are available again. I ordered plenty of PCBs this time, and I've been accumulating various other parts too - should keep me going for quite a while. Do you still have these? I am working on 2 vans at the moment and need to fix the dash in them. J'ai commandé un nouveau PCB à Chris (CJH) c'est un génie...! Le PCB fonctionne parfaitement c'est formidable. J'ai pris l'option témoin de jauge essence, c'est vraiment génial. J'habite en France, et beaucoup de passionnés cherche un nouveau PCB. Et puis Chris ne réponds plus depuis plusieurs mois aux messages... j'ai des amis qui on besoin de lui faire des commandes. Quelqu' un peux m'aider, merci beaucoup. @cjh I have send you a PM I would like to buy a kit and the low fuel module please. @cjh I have also sent a PM and need a kit. Does anybody know what's up? I'm pretty sure he has seen my messages but had nothing back. It's a great kit and I would recommend it. I've just messaged him too. But in preparation, can someone tell me what resistance wire I need, thin sleeve? 20 amp? I'm not sure. I'#ve found a suitable 15 pin connector https://www.carbuildersolutions.com/uk/ ... way-single, I know where to get the vero board, etc. Since I took the dashpod out, my bus won't start. Is this normal? All I'm getting is the solenoid clicking in. BackForMore wrote: can someone tell me what resistance wire I need, thin sleeve? 20 amp? I'm not sure. 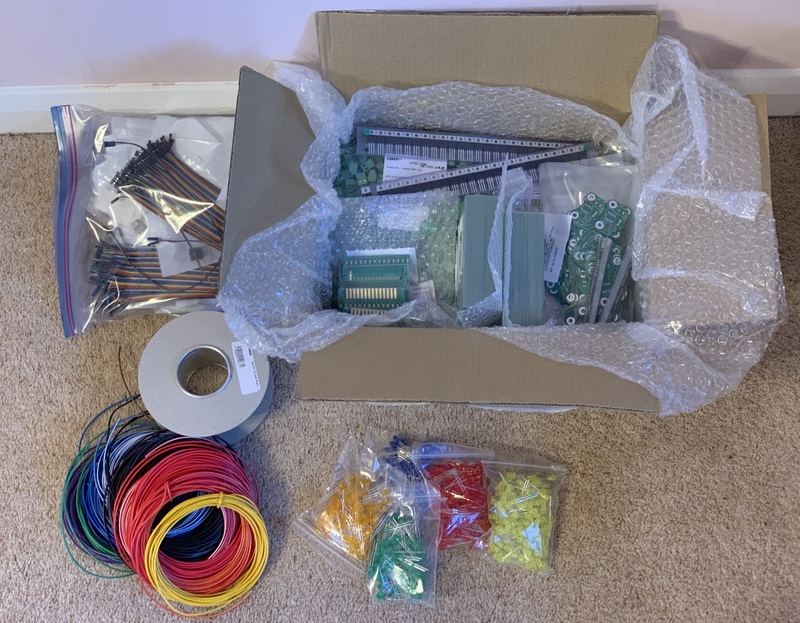 If you get a kit from Chris it comes with all the wires and parts you need and the printed board so you don't need wire or veroboard. Chris's kit is very reasonably priced, I couldn't build a one off veroboard one for the price he's charging. He buys the parts in bulk so that cuts down the cost. re: your non starting, you don't say what engine you have but if your starter solenoid (on the back of the starter motor) is clicking then it's nothing to do with the dash pod. However... if you're hearing a relay clicking but not the solenoid then it could be to do with the dash pod depending what engine you have. Thanks for that. I'll PM Chris and get me one of them kits I think. Mine's a 1.9 DG. I found the problem, it was a bad earth on the starter motor. New here, also desperately want this kit. I've sent a PM. it has been read but got no reply. Shame, looks like a great kit! I ended up getting the cluster master kit from campervan culture, £140 but easy to fit and works well.